400 people chopped up 1000 kilos of vegetables that no one would have wanted otherwise around the Postbahnhof in Berlin. This was done under the motto: “On plates instead of in bins”. A protest soup was made from the vegetables, which was handed out at 2 in the afternoon on Saturday during a large demonstration against the agrarian industry and the organic industry. Cook Wam Kat stood stirring his huge pot of soup, which was as big as two stacked lorry tyres, in a circus tent. His metal spoon looked like an oar. The Dutchman has been a demonstration cook for 35 years. 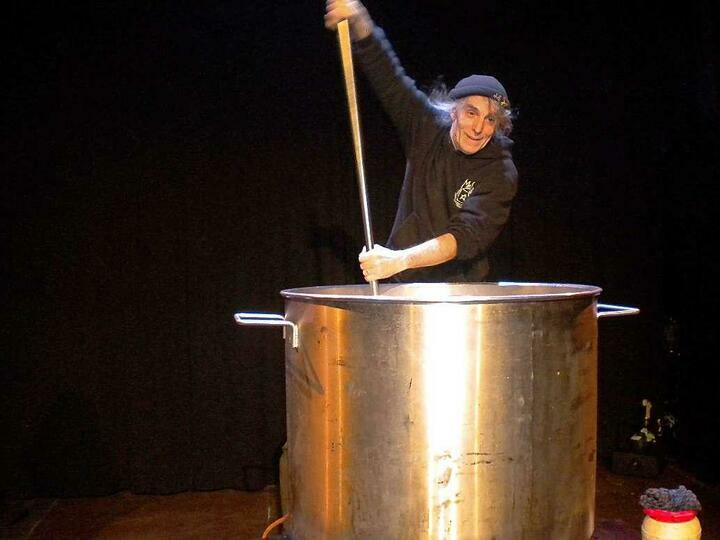 He cooked six of these huge pots in total during this demonstration in Berlin: 2400 litres of soup from 1000 kilos of vegetables. One of the volunteer who came to chop vegetables was Carolin Saam, a 24 year old student who studies agricultural sciences in Berlin. She participated because she, like many others, believes it is a shame that supermarkets throw out tonnes of food. “People in other countries have to starve,” as she says.